It is really fantastic to be a pampered traveler on a luxury train journey stopping at some very interesting and iconic destinations. The privacy of a comfortable suite, fabulous cuisine served in beautiful surroundings, cocktails enjoyed in wonderful bar cars, all contribute to a unique experience that becomes one of life's treasured memories. 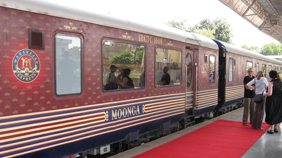 India has some of the best luxurious trains in the world for tourists. 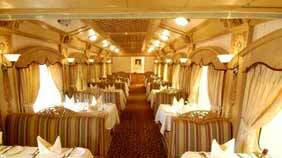 Some of the famous ones are Palace on Wheels, The Maharaja Express, The Deccan Odyssey and The Golden Chariot. 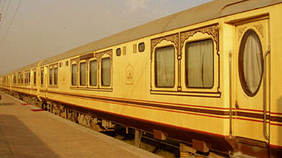 All these trains offer complete tours packages with all meals, sightseeing and excursions. Mostly these trains move from one place to another during the nights and during the day, you do tours and excursions. Apart from the above trains, we have some other trains that reach the far flung and remote areas of Indian subcontinent. Some the famous and fast trains used by tourists are The Shatabdi Express and The Rajdhani Express trains.